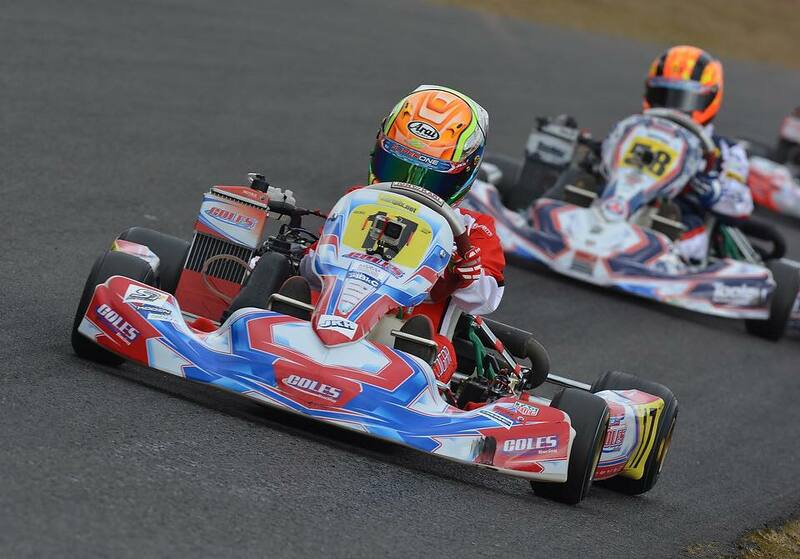 Jonny was in fine fettle at Fulbeck during the S1 Championship weekend, returning a maximum score from all four of his races. After dominating Friday’s free practice sessions, he encountered a small hiccup during timed qualifying. 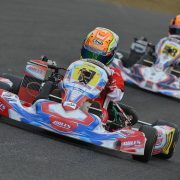 On a rapidly drying circuit, he became involved in heavy traffic after beginning his final lap which knocked him down to 3rd spot on the list behind Owen Johnson and Dexter Patterson. Unperturbed by this minor setback he took an early lead in Heat 1 and quickly pulled away from the chasing pack led by Lorcan Hanafin. His winning margin in this race amounted to almost 150 yards. The next Heat was a bit tighter but he still managed to win this one with over 50 yards to spare from Clayton Ravenscroft and Hanafin. That placed him on pole position for Final 1 and he led this race from start to finish, well ahead of his nearest rival, Klaas Kooiker. 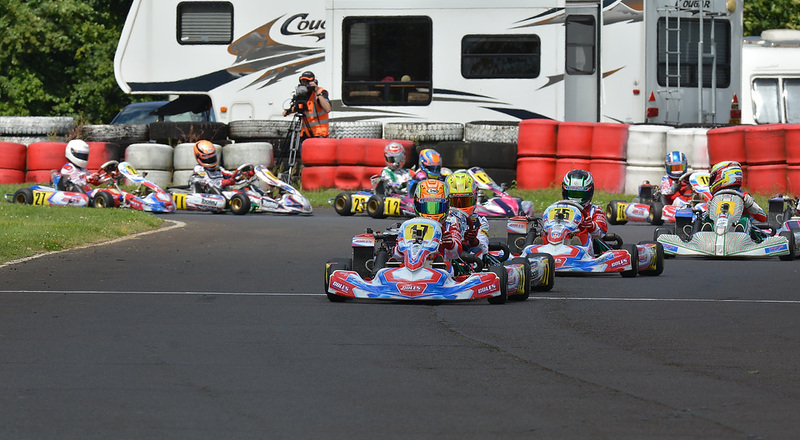 Championship leader Jenson Butterfield took 3rd spot ahead of Tom Canning. Ravenscroft and Hanafin made up the top six. Final 2 was an awful lot closer and, after Battenberg flags were produced at half distance, he faced a strong challenge from Kooiker. However, he held his nerve and came home to record another well deserved victory. Canning followed Kooiker to take 3rd place ahead of Butterfield, Ravenscroft and Patterson. It means that, with three rounds still remaining, Jonny’s title challenge is back on track as he now lies 2nd, just 10 points behind Butterfield who previously enjoyed a lead of 28 points. There was only black spot on an otherwise perfect weekend. During Saturday morning’s practice session Alex Lloyd who runs in the DHR team, was involved in a nasty accident that resulted in him losing several of his front teeth. 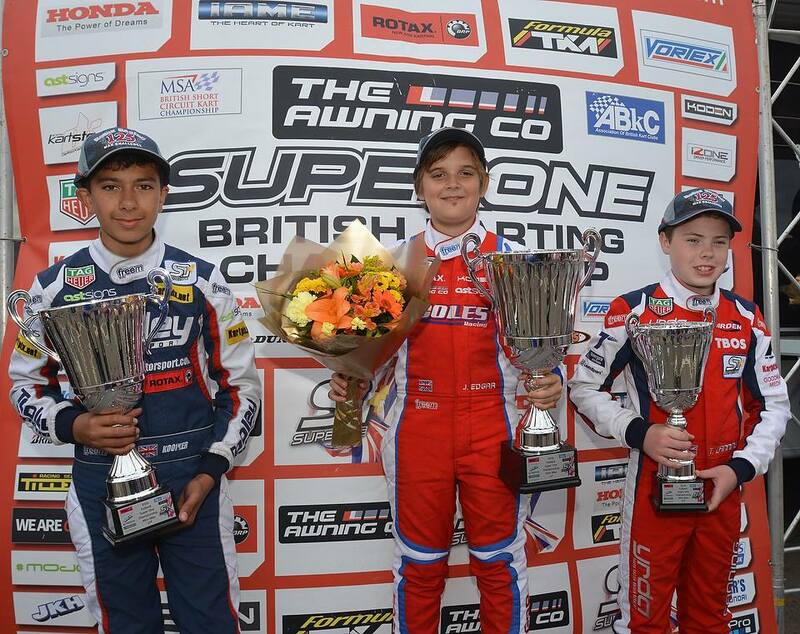 “I’d like to wish Alex a speedy recovery and hope that we’ll see him racing at the Kartmasters event in August, if not beforehand,” said Jonny.